Add on: Lake Titicaca, Nazca Lines, Amazon Rainforest, Colca Canyon, a Pacific Beach Getaway or extra activities. This tour begins in Lima and takes you to Cusco and Machu Picchu. This tour is perfect for passengers arriving by ship, on business in Peru or with only three days to visit Machu Picchu. Day 1: Private transfer to Lima airport and flight to Cusco. 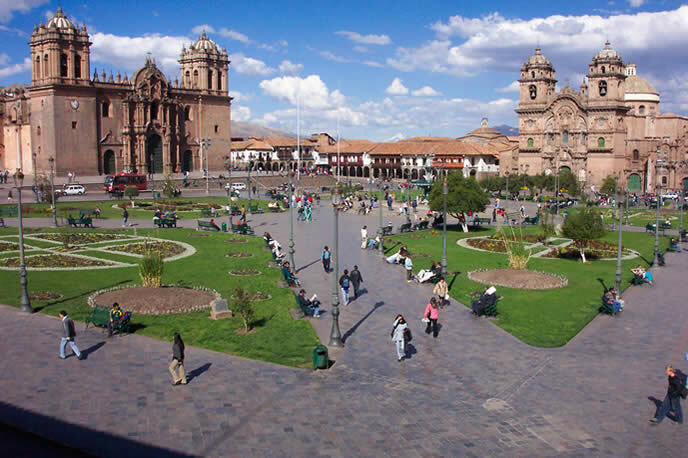 Arrive Cusco – city and ruins tour. Day 2: Early morning train to Machu Picchu. Private guided tour, then free time at the site. Day 3: Return flight to Lima and private transfer if needed. This morning you´ll have a private transfer to the Lima airport, a short flight brings you to the famous Inca city of Cusco. After checking into your hotel, we set out to explore the incredible capital of the Inca Empire. We head to the picturesque Plaza de Armas to the cathedral to see the colonial influence in the city, and we can admire the stunning architecture of the church and also the native influences subtly woven in into the artwork. Onwards to Qoricancha church, where the colonial and Incan architectures are on display side-by-side directly contrasted with each other. Then you´ll get a taste of Cusco by visiting the San Pedro central market. Afterwards we make our way above the city to the imposing fortress of Sacsaywaman where we can marvel at the incredible stonework and architecture of the Inca civilization. We head back to Cusco in the late afternoon. Overnight in Cusco or overnight in the Sacred Valley if you are concerned about the altitude (the Sacred Valley is 645m, 2,000ft lower than Cusco) we can add this to your itinerary. A beautiful early morning train journey across the high plain above Cusco then down the Urubamba Valley to majestic Machu Picchu. Known as one of the greatest architectural achievements in the world, this historic sanctuary is considered one of the seven manmade wonders of the world. After a guided tour, take time for independent exploration of this magnificent site. Return train to Cusco in the evening. Overnight in Cusco. Return flight to Lima. Let us know if you have a preference for what time of day you’d like your flight to depart. If possible, it’s always nice to have a bit of extra time in magnificent Cusco and return to Lima in the afternoon. Private transfer back to Port Callao to catch your cruise, to Lima or depart on your international flight. 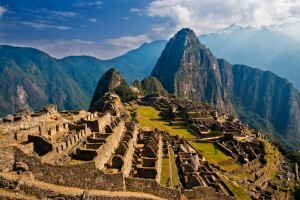 Machu Picchu Short Tour is a three-day tour which includes walking around ruins and during city tours. As always, a certain patience is required for the inconsistencies and occasional delays of developing-world travel. International flight to/from Lima, pre- & post- tour accommodation, visas, vaccinations, personal insurance, meals except where specified above, drinks, laundry, souvenirs, tips while on optional excursions and other items of a personal nature. Medical travel or cancellation insurance is not included through Southern Crossings. Note: if you are located outside central Lima or the Miraflores area, there may be an extra charge for these transfers. In Lima/Cusco/Machu Picchu: $150 double / $130 single. It is best to bring from home such items as prescription medications, eyewear and care, unusual film and camera batteries. Please make sure to bring your used batteries home to recycle!